Remember I said I wanted to make some small blocks? 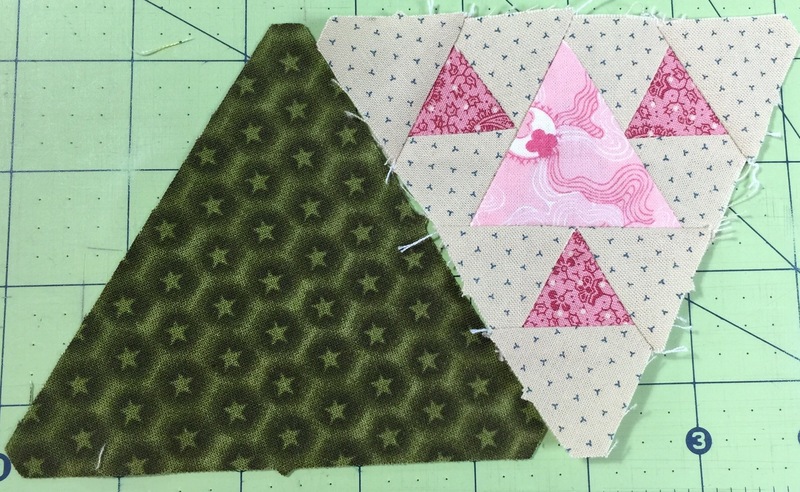 Well, I decided to cut out pieces for a tiny version of the Panama Pyramids quilt that has been floating around a the interwebs lately. 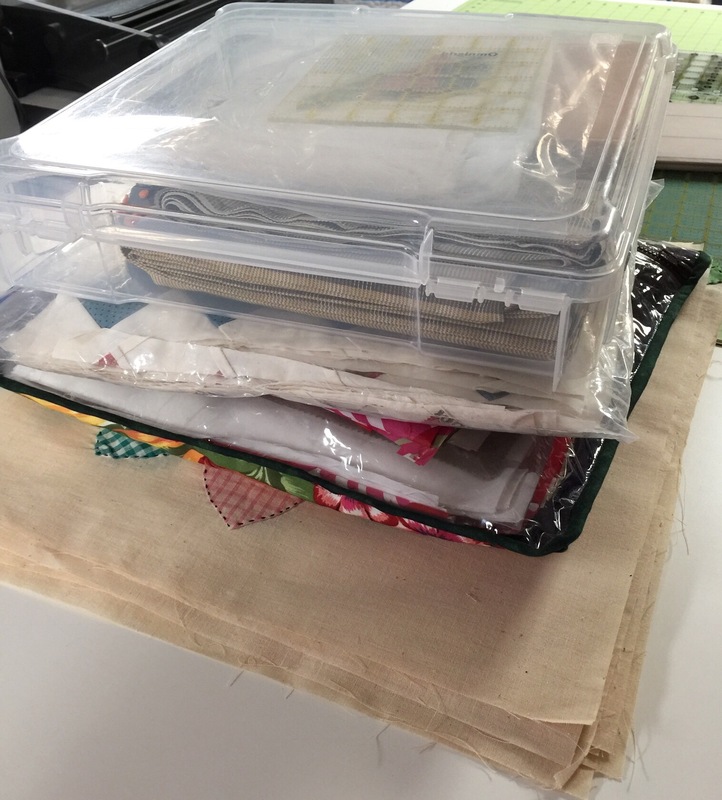 I used scraps to cut one pieced and one alternate block. Nope. Not gonna do this. Maybe someday, but right now I need something simpler. That’s okay, I managed to come up with a few other projects to take. Yeah, we’ll see how far I get on these. Haha — I have a sampler pack of the Panama Pyramids I’ve just barely started. I’m not sure how well I’m going to do with it. I started it a bit ago and decided I need to work on it some other time. Looks like you have some other good projects ready though. Good for you! That one is a challenge.